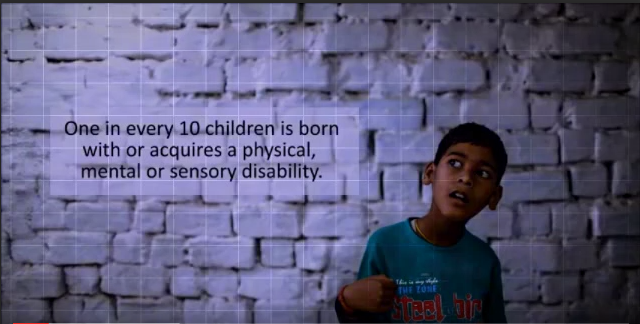 Snehadhara Foundation (SF) is a registered non-profit organization based in Bangalore that works with children and adults who are differently abled, their caregivers and their families. 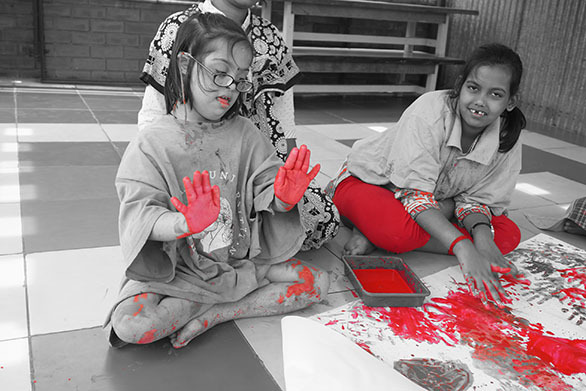 We are the first and only Centre in India that uses Arts Based Therapy as the primary methodology to work with children and adults with disabilities. Snehadhara aims to bridge developmental deficits in education and inclusion. Our approach to this is two-fold. We create opportunities for learning for children with special needs and enable additional possibilities to achieve independence and empowerment. The Direct Care space of Snehadhara is our social lab, which aspires to be a model for special populations that addresses life goals, academic interventions, and where possible learning experiences to meet vocational goals, livelihood and long term care giving. Here through various programs we work with children across disabilities and across age groups. The existing model of SF has been catering to learning milestones in children with developmental disabilities who are denied learning access in schools. Meeting the needs of disabled young people is a three-way responsibility between institutions available for all children, disability services and the community. Therapies available for children with disabilities are looking at Therapy only as treatment and often dismiss its potential to co-create learning spaces for children. Arts Based Therapy is the evidence-based use of multi-art forms that encompasses music, drama, dance, play, fine arts, imagination and story-telling to accomplish individualized goals within a therapeutic relationship. Arts based therapy enhances development through the deliberate combination and involvement of both body and mind. This unique approach holistically addresses all the critical dimensions of development namely cognition, behaviour and social skills. The methodology of ABT used by us with children/adults with developmental disabilities over the years has shown quantifiable results and created receptive environments that are lacking in the city today. "In 2014-15, we worked with 170 children through direct and weekly interventions and with 400 children through Indirect Interventions in schools and other receptive environments. 5000 children with disabilities directly or indirectly helped through our flagship programs aimed at achieving social inclusion, life skills and building receptive environments. A model inclusive learning centre for children and adults with disabilities. 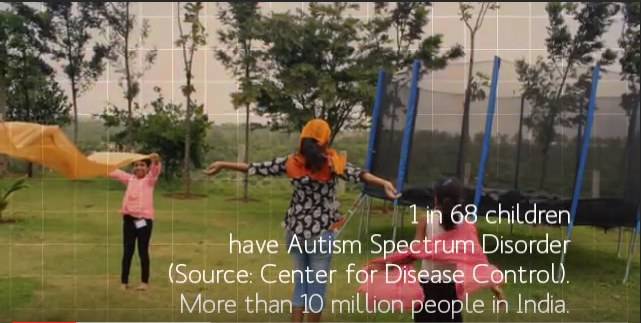 A social lab that develops and tests new techniques and methods for achieving educational and developmental goals. Nurturing partnerships with special and mainstream schools across India to bring about Arts Based Education Practices. Our initiative impART is on the anvil of creating a force of Arts Based Therapy Practitioners to impact 25000 children over the next 5 years. Your generous support for our initiative will help us pioneer a National Arts Movement in the country. 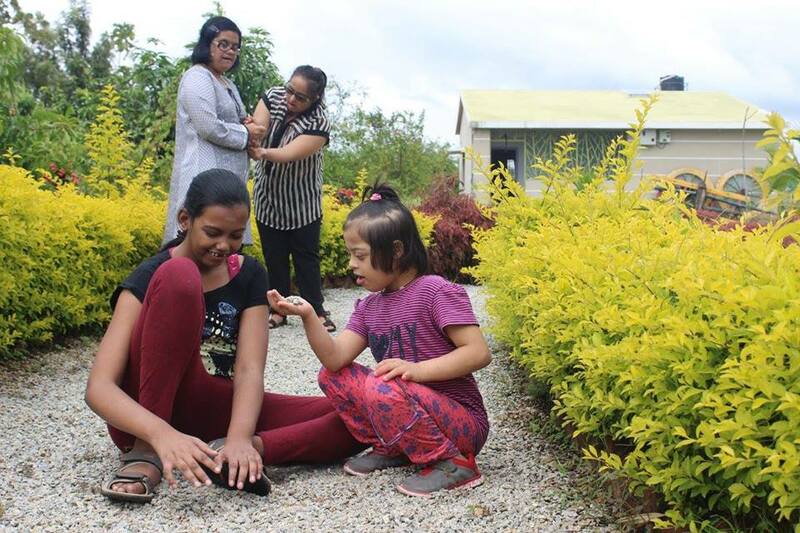 Snehadhara aims at creating greater levels of inclusion for children and adults with special needs - fees are never a criterion for admission as we want to be affordable to all parents of children with special needs that are exploring learning spaces that look at holistic learning and therapy. Along with having parents contributing to the costs of running the programme, we are also supported by individual donations. This allows us to work with children from varied backgrounds. We need your support to help sponsor these children. Apart from financial support, we also need you to be an ambassador for the special needs community by reaching out to other individuals that can help our mission! Do visit www.snehadharafoundation.org or our Facebook page to know more. Snehadhara Foundation and Rang De invite you to contribute towards empowering children and adults with disabilities - for life and livelihood options.